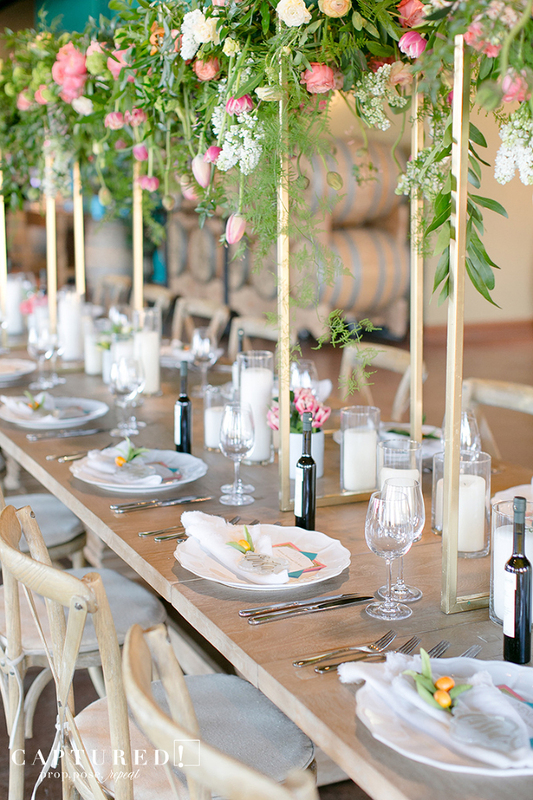 We are forever swooning over this Shiplap backdrop at the Coordinator Dinner at Fazeli Cellars in Temecula, California! 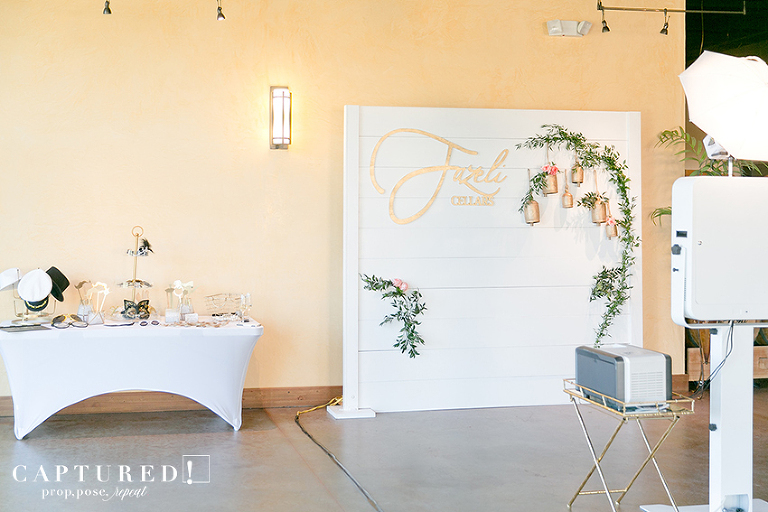 The Shiplap backdrop may be very simple, but adding a personalized laser cut sign and beautiful greenery and floral adds the PERFECT elegance. Yes, we are OBSESSED. Our goal is to raise the bar on wedding photo booth expectations. Photo booths will usually take up 8 – 10 feet of your reception space, so shouldn’t it make a statement?! We make sure that our photo booth will ADD to your wedding style and decor. 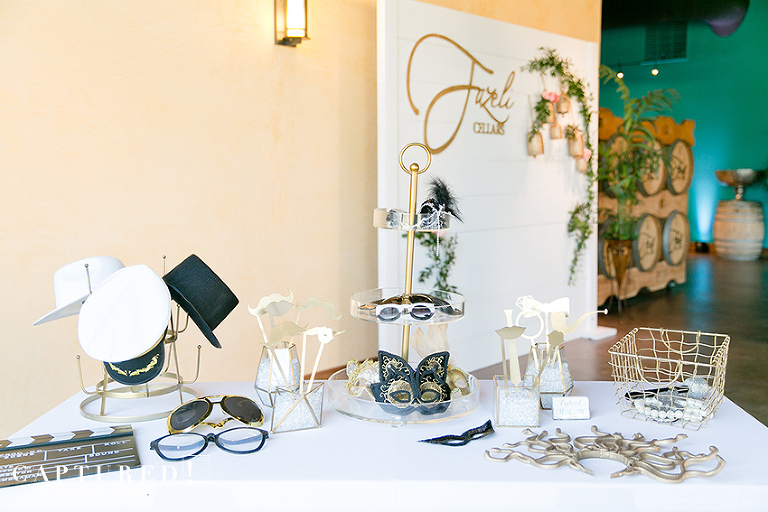 Our photo booth collection comes with a styled modern prop set that will totally fit with your wedding theme! 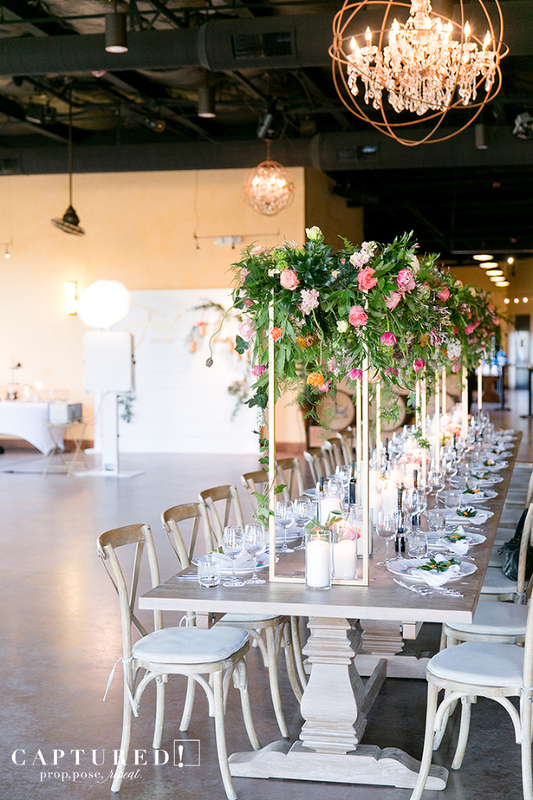 We love that we get to give your guests a fun experience while adding to the overall aesthetic of your wedding. #PropPoseRepeat!